* 3.5 inches high and 10.25 inches in diameter. 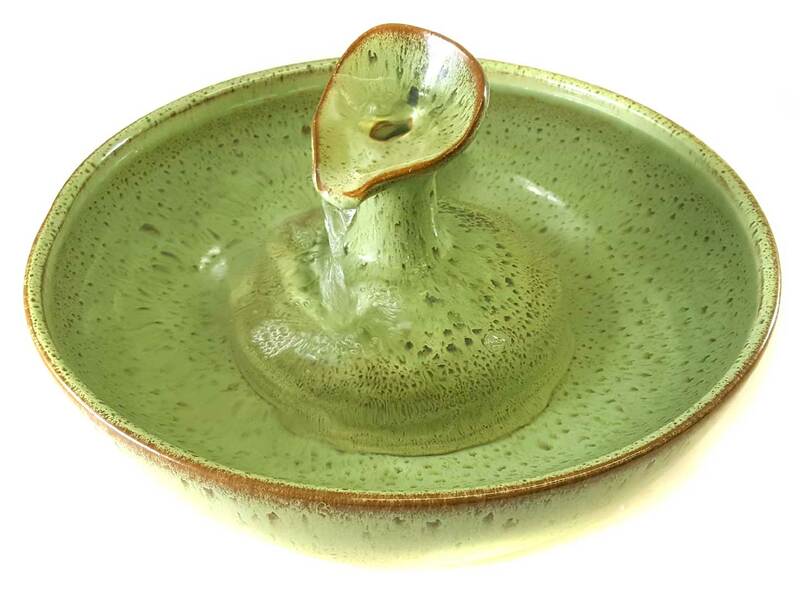 The glaze for this lovely cat water fountain is Tortoise Shell Green. Please click the images for a closer view. 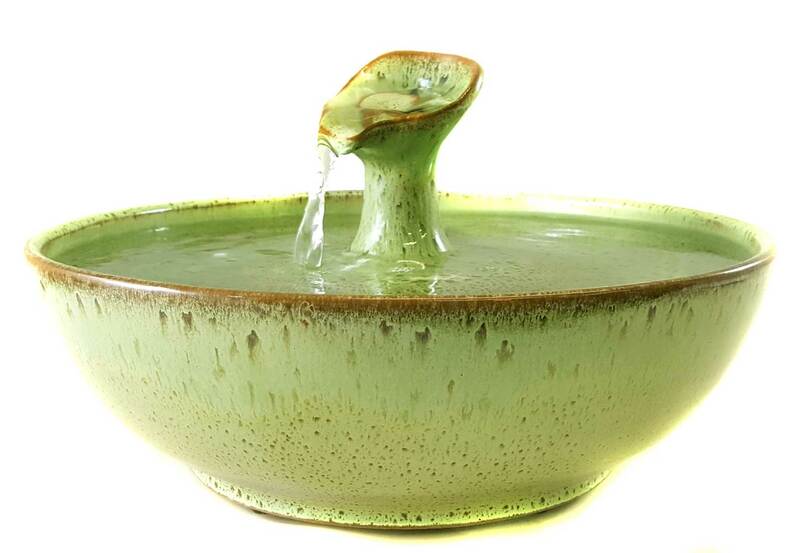 Water flows up onto the silky form and into the bowl in a single stream with no splash. Your pets can drink from the leaf, the streams and from the bowl. 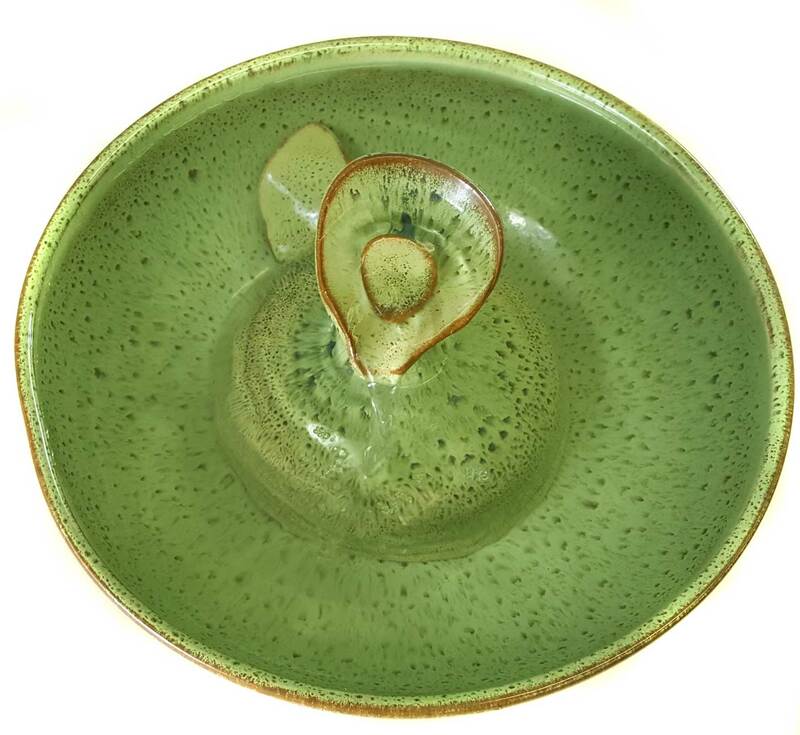 The bowl was bumped while still wet so is noticeably out-of-round so is REDUCED. Not unattractive however.